In this third week of January 2012 here’s my observations and nature notes. Seeing lots of muntjac around weather v mild and not too windy . The feed hoppers on the local shoots are attracting lots of attention as they provide an easy meal. Heard a Chaffinch trying to break into song last week, not quite there yet. Blackbirds and Song Thrushes seem very sensitive to the slight increase in day length and were heard singing on the odd pleasant evening at the turn of the year. Many plants are breaking dormancy, a cold and wet month now could help arable farmers and nature alike, mercifully we cannot intervene! Here is an example of a co-operative Muntjac I filmed in 2010. The animal was actually on camera for almost 20 minutes, coming and returning several times. I’ve found this to be quite unusual and I didn’t have the oppportunity to re-try this animal at a later date to assess whether or not I had made him call-shy. Not been doing much with the deer for some time ,did call one in for a group of children on a nature walk 2 weeks ago .Their faces ! Garden freshened by Mondays rain of 8mm now a total of 35mm since 1st March .Grateful for small mercies etc as I understand far less in East Anglia . Despite a mass of blossom on the Hawthorn this spring most of the flower stalks have fallen off so there will be fewer berries this Autumn .The two late frosts followed by high day temps ? This plus the lack of moisture ? Any suggestions? Seeing small groups of Fieldfares moving in a northerly direction I suppose the start of their journey to to breed in Scandinavia?Goldcrests reappeared in our garden about 10 days ago, I had missed hearing them all winter. However did they survive? One Saturday last October I was watching Swallows flying southwards on the start of their migration and Fieldfares arriving at the end of theirs. 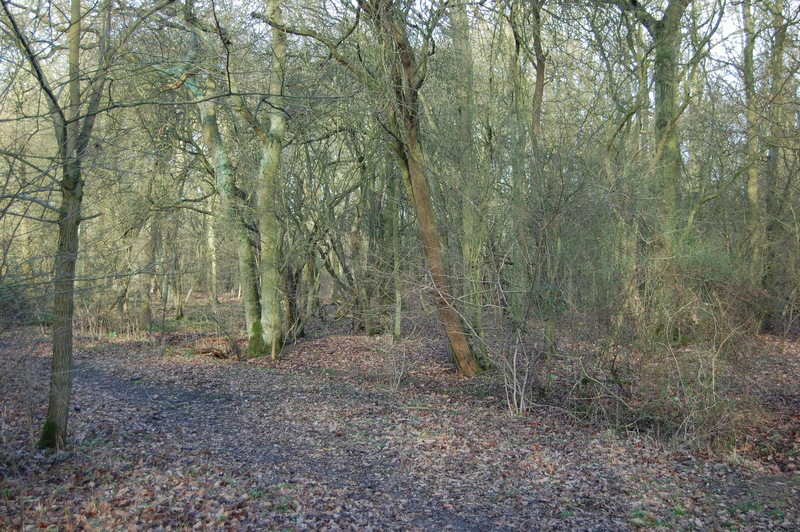 Not spring yet, but sunny days do bring light into the woodlands which help stimulate new growth. Having been out to collect the stealth cam the walk there and back to the vehicle was a pleasure. Later I’ll be able to see what’s been passing by the hidden lens. The countryside has been at the centre of my life since I was a small boy and the sights, sounds and smells of woodlands are second nature to me. I feel at home and at ease whether spending time stalking deer for filming or hunting purpose, or just listening to and watching the abundance of wildlife that will make itself visible if you stand perfectly still long enough.